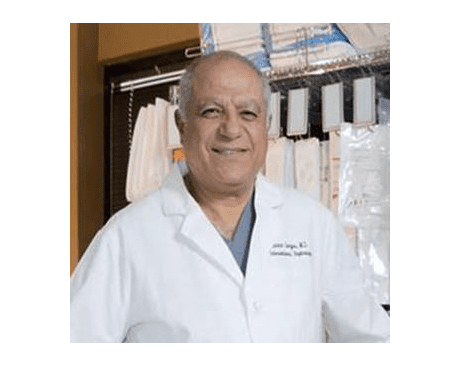 KeyLife Med Spa Providers Anwar Gerges, M.D., Ph.D.
As the onsite physician at KeyLife Med Spa, Anwar Gerges, MD, PhD, oversees all aesthetic and skin care services. Dr. Gerges provides personalized care at this San Antonio, Texas-based medical spa. After earning his doctor of medicine degree from the Ain Shams University Faculty of Medicine in Cairo, Egypt, Dr. Gerges relocated to the United States to complete his training. He went through residencies at Brooklyn-Caledonian Hospital and Mount Sinai St. Luke’s Hospital in New York City. Dr. Gerges opted to complete additional training in nephrology during his fellowship at the University of Texas Health Science Center in San Antonio. During his fellowship, Dr. Gerges trained with the father of interventional nephrology, Gerald Beathard, MD. Ultimately, Dr. Gerges went on to become board-certified in nephrology through the American Board of Internal Medicine. Throughout his career, Dr. Gerges has held several prestigious leadership positions in the medical field. He was the first physician in the South Texas and San Antonio areas to practice interventional nephrology. He even taught several post-graduate workshops on interventional nephrology for the American Society of Nephrology. Dr. Gerges currently spends most of his time practicing interventional nephrology and vascular medicine, including varicose vein management. With his expertise in internal medicine, overall wellness, and skin care health, Dr. Gerges is a trusted leader in patient care. Patients of Dr. Gerges appreciate his kind and caring demeanor and his willingness to help patients achieve their best health. Because he’s fluent in English and Spanish, patients of diverse cultural backgrounds can communicate effectively and get the care they need.